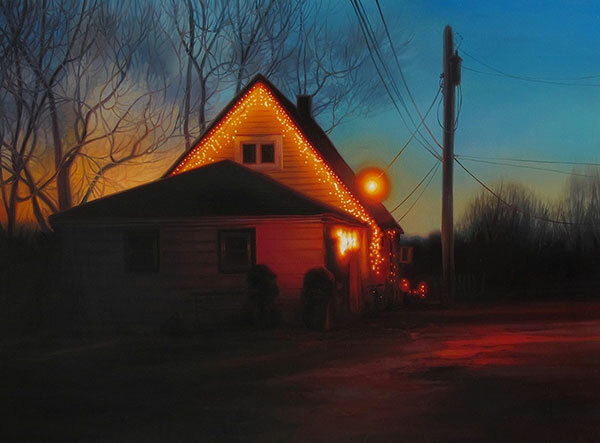 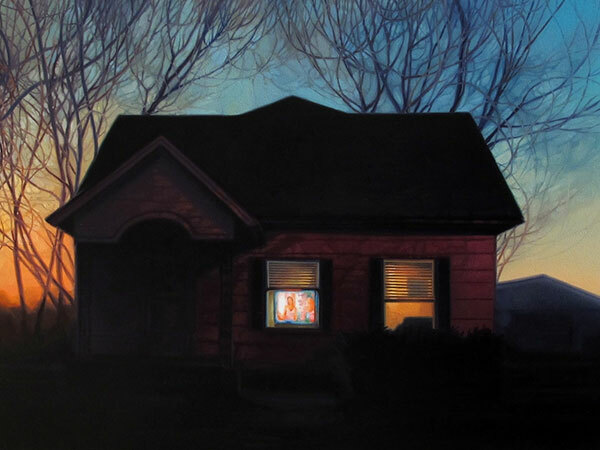 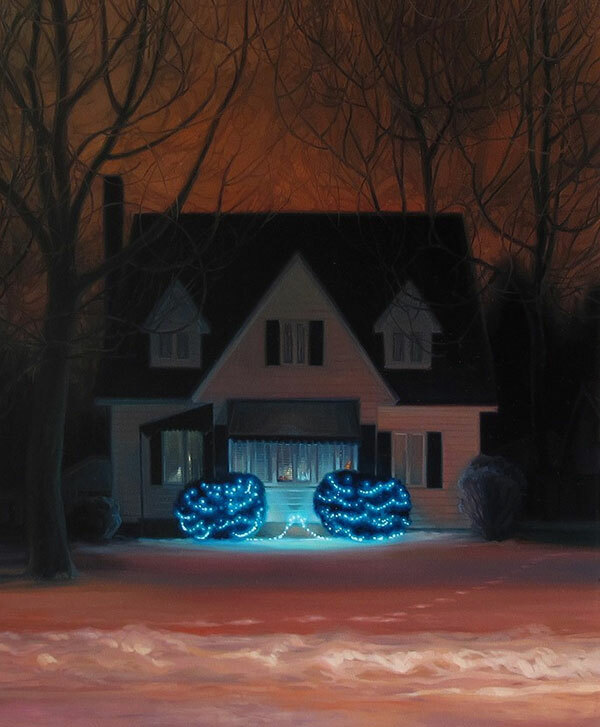 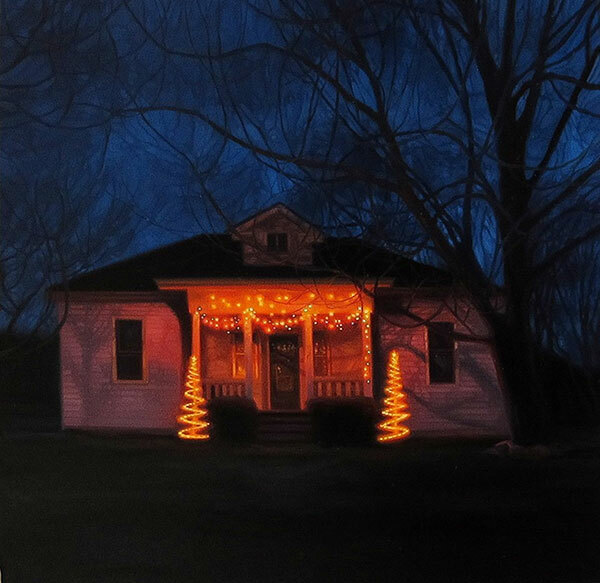 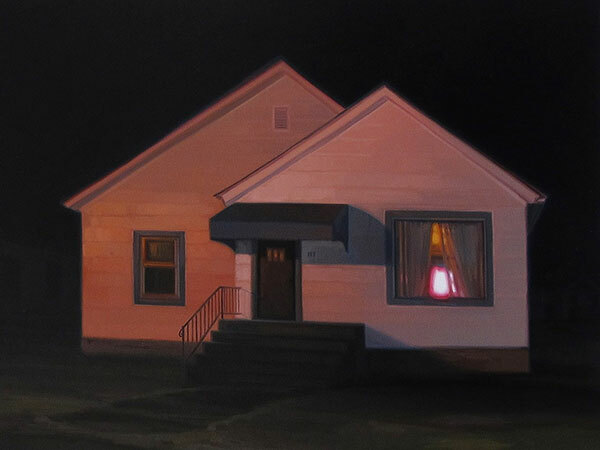 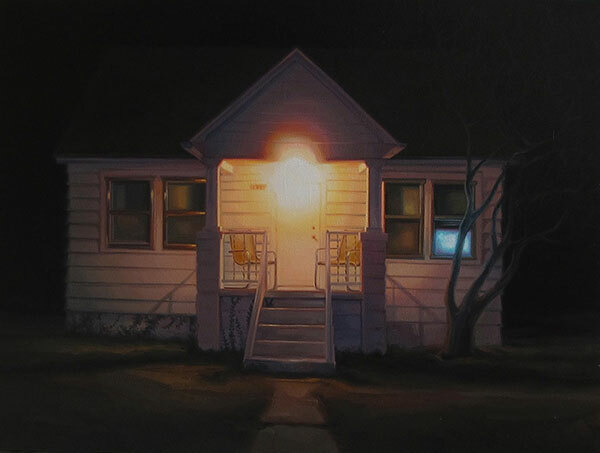 Paintings of desolate houses and unremarkable buildings by artist Sarah Williams that focuses on her roots in the rural American Midwest. 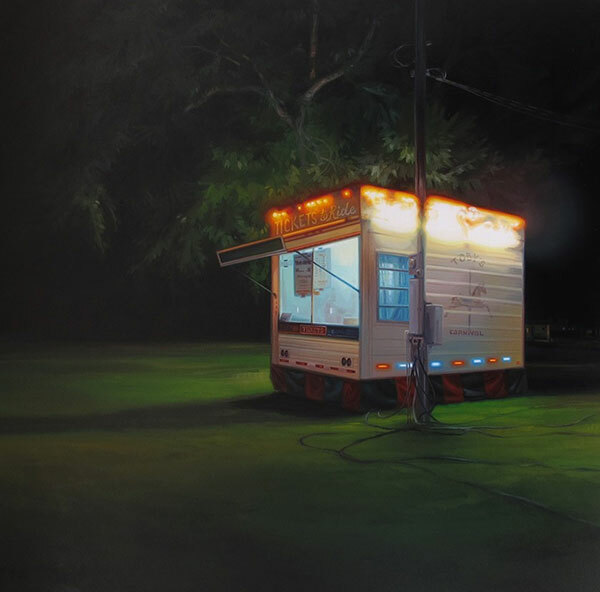 Raised in a small town then moving to an urban setting for her education led her to a greater awareness of the seemingly mundane areas close to her home. 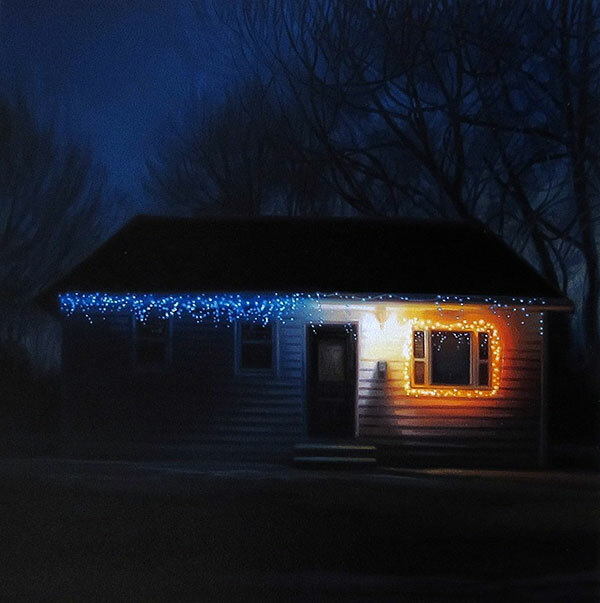 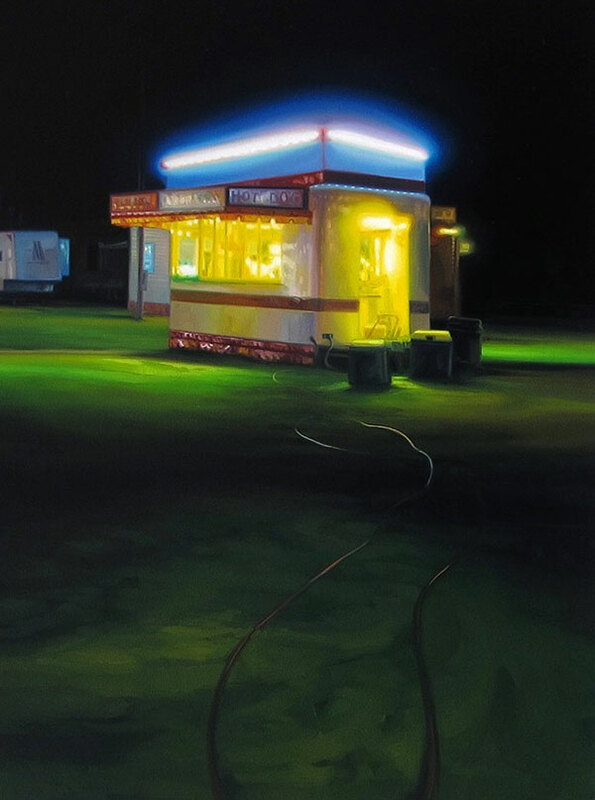 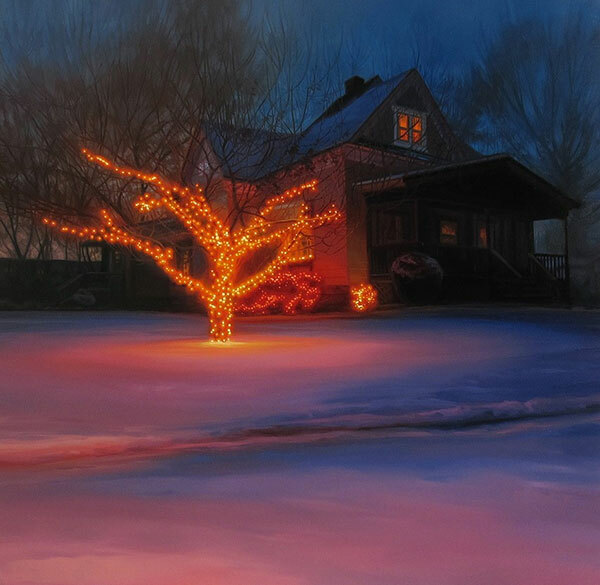 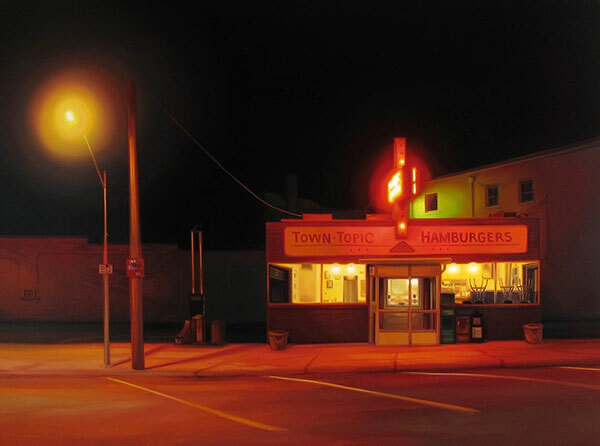 The nightscapes have a familiar feel as we often see houses and buildings like these illuminated only by the glow of a television screen on the inside or neon lights on the outside as we pass them by.